Some of the nation’s best known, award-winning Latino journalists as well as the current and former presidents of the National Association of Hispanic Journalists (NAHJ) are among the speakers that will headline the bilingual Hispanic Journalists Showcase of Hispanicize 2015. The Hispanic Journalists Showcase of Hispanicize 2015 consists of a multi-faceted, multi-day platform that includes in-depth social media training for reporters, a day devoted to exploring issues that impact Latinos in media and the second annual Media Entrepreneurship Boot Camp for Hispanic Journalists. This year’s Hispanic Journalists Showcase is being curated by chair Hugo Balta, immediate past president of the NAHJ and Senior Director, Multicultural Content at ESPN. 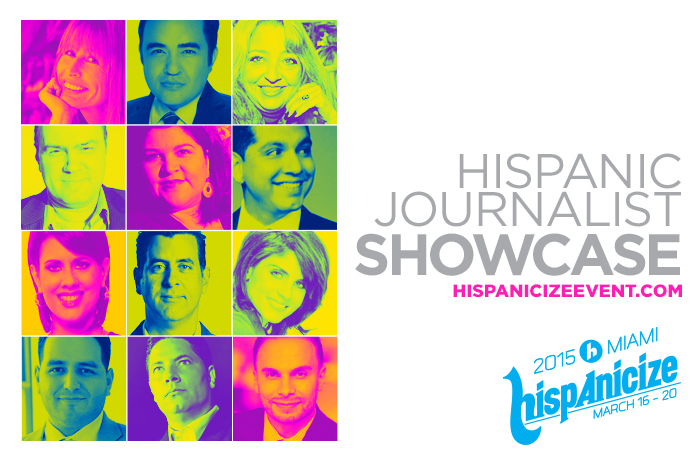 Building on a legacy of speakers that in the past has included Soledad O’Brien, Maria Elena Salinas and Cuban blogger Yoani Sanchez, among others, this year’s 2015 Hispanic Journalists Showcase will also feature current NAHJ President Mekahlo Medina as well as several past winners of the Pulitzer Prize. Medina will be at Hispanicize 2015 to formally present the results of the 2nd annual State of Hispanic Journalists Survey, a national research project that NAHJ conducted together with California State University, Fullerton, Hispanicize Wire and Florida International University. 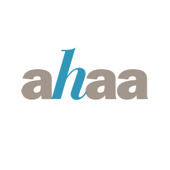 (Hispanicize 2015, the annual Latino trends event, will take place March 16-20 in downtown Miami’s InterContinental Hotel; register here: http://www.eventbrite.com/e/hispanicize-2015-march-16-20th-tickets-12902990191). This year’s roster of journalism showcase speakers includes news anchors, top reporters, commentators, researchers and leaders. In addition to Balta and Medina, the 2015 Hispanic Journalists Showcase includes: Fernando Del Rincon, News Anchor of CNN en Español’s Conclusiones; Rick Jervis, National Correspondent, USA Today; Nina Terrero, Correspondent, Entertainment Weekly; Adrian Carrasquillo, Latino Coverage Editor, Buzzfeed; Nick Valencia, Correspondent, CNN; ‎Jorge Rivas, National Correspondent; Francisco Cortes, Vice President, Fox News Latino; Gilbert Bailón, Editor of the St. Louis Post-Dispatch; Inez Gonzalez, Director, Latino Communications Initiative at California State University, Fullerton; Mercedes Soler, News Anchor of CNN en español’s Notimujer; Elaine de Valle, Pulitzer Prize-winning journalist and publisher of Political Cortadito; serial entrepreneur, author and former columnist Kathy Cano-Murillo of Crafty Chica; Mariela Encarnación, Co-host of CNN en Español’s Showbiz; author Lorraine Ladish, principal of VivaFifty; Bill Gato, CEO of Hispanicize Wire; and Astrid Rivera, publisher of Latin Blah, among others that will be named. In addition to the Hispanic Journalists Showcase, media will also be given full access to attend general training sessions about such topics as WordPress, video production, Facebook, trends in social media and much more. In a departure from years past and in recognition of Miami’s strong core of Spanish-speaking journalists, the showcase will also feature a number of key sessions in Spanish. As of today, announced sponsors include: Procter & Gamble, 3M, Best Western, Disney World Resorts, WordPress.com, CNN en español, Visit Philly, BodenPR, Connexión Research, República, Fox News Latino, Alma, RL Public Relations, Hispanic Market Advisors and many more consumer products, food, fashion and lifestyle, toy and travel brands who will shortly be disclosed.